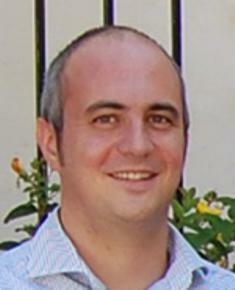 Prof. Fabio Sgarbossa is Associate Professor of Industrial Plants and Logistics at University of Padua, working within the research group coordinated by Prof. Persona, belonged to SSD ING-IND/17. The main activities of his research are about the design and management of industrial and service systems, study and management of production systems and maintenance, Supply Chain Management, technological innovation in logistics, materials management and inventory control, operations management and logistics networks, humanitarian and healthcare supply chain management. In the fall of 2008 he was "visiting researcher" at the Quality and Reliability Engineering Laboratory, Department of Industrial and Systems Engineering, Rutgers University, Piscataway - New Jersey (USA), in collaboration with prof. Pham, Department Chairman. This collaboration with prof. Pham is still active on various issues related to system reliability modeling of environments, of considerable interest to the scientific and industrial community. He is author and co-auhtors of more than 100 publications in important international journals and international research conferences. He was member of IIE, IEEE and coordinator of the young group of AILOG Nord-EST (Italian Logistics Association). He has been member of Organizing and Scientific Committees and Session Chairman of several International Conferences and Workshops. He has been also guest editor of several Special Issues in relevant International Journals. Prof. Fabio Sgarbossa actively contributes to new researches in the Logistics laboratories related to the development and integrated study of new packaging solutions, innovative logistics systems and to the use and analysis of motion capture systems for ergonomic assessment and efficiency of the various assembly and productive workstations. Fabio Sgarbossa researches regard industrial facilities and logistics, in particular: design and management of industrial plants, assembly and production systems design and optimization, maintenance of industrial systems, supply and distribution networks design, ergonomics and human factors in industrial production and assembly systems, sustainable supply chain management, material management, humanitarian logistics. - Battini, D., Calzavara, M., Persona, A., Sgarbossa, F. Order picking system design: The storage assignment and travel distance estimation (SA&TDE) joint method (2015) Int. Journal of Production Research, 53 (4), pp. 1077-1093. - Andriolo, A., Battini, D., Persona, A., Sgarbossa, F. Haulage sharing approach to achieve sustainability in material purchasing: New method and numerical applications (2014) Int. Journal of Production Economics. Article in Press. - Battini, D., Persona, A., Sgarbossa, F. A sustainable EOQ model: Theoretical formulation and applications (2014) Int. Journal of Production Economics, 149, pp. 145-153. Sgarbossa, F., Persona, A., Pham, H. Using Systemability Function for Periodic Replacement Policy in Real Environments (2015) Quality and Reliability Engineering International. - Faccio, M., Persona, A., Sgarbossa, F., Zanin, G. Industrial maintenance policy development: A quantitative framework(2014) Int. Journal of Production Economics, 147 (PART A), pp. 85-93. - Battini, D., Persona, A., Sgarbossa, F. Innovative real-time system to integrate ergonomic evaluations into warehouse design and management (2014) Computers and Industrial Engineering, 77, pp. 1-10. - Andriolo, A., Battini, D., Grubbström, R.W., Persona, A., Sgarbossa, F. A century of evolution from Harris's basic lot size model: Survey and research agenda (2014) Int. Journal of Production Economics, 155, pp. 16-38. - Azzi, A., Battini, D., Persona, A., Sgarbossa, F. Packaging design: General framework and research agenda (2012) Packaging Technology and Science, 25 (8), pp. 435-456. Cited 9 times. - Battini, D., Faccio, M., Persona, A., Sgarbossa, F. Design of an integrated quality assurance strategy in production systems (2012) Int. Journal of Production Research, 50 (6), pp. 1682-1701. - Ortolani, C., Persona, A., Sgarbossa, F. External cost effects and freight modal choice: Research and application (2011) Int. Journal of Logistics Research and Applications, 14 (3), pp. 199-220. - Battini, D., Faccio, M., Persona, A., Sgarbossa, F. New methodological framework to improve productivity and ergonomics in assembly system design (2011) Int. Journal of Industrial Ergonomics, 41 (1), pp. 30-42. - Azzi, A., Battini, D., Persona, A., Sgarbossa, F. Decreasing network complexity with logistics outsourcing: An entropic approach (2010) Int. Journal of Procurement Management, 3 (4), pp. 339-360. - Persona, A., Pham, H., Sgarbossa, F. Age replacement policy in a random environment using systemability (2010) Int. Journal of Systems Science, 41 (11), pp. 1383-1397. - Sgarbossa, F., Pham, H. A cost analysis of systems subject to random field environments and reliability (2010) IEEE Transactions on Systems, Man and Cybernetics Part C: Applications and Reviews, 40 (4), art. no. 5437299, pp. 429-437. - Battini, D., Faccio, M., Persona, A., Sgarbossa, F. Design of the optimal feeding policy in an assembly system (2009) Int. Journal of Production Economics, 121 (1), pp. 233-254. .